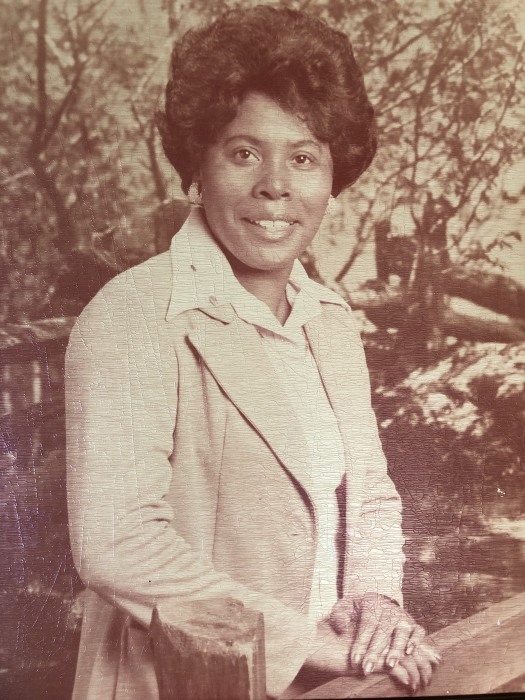 Obituary for Mrs. Arnetta (Stone) Daniels | William Toney's Funeral Home Inc.
Mrs. Arnetta Stone Daniels, age 81 of Spring Hope NC, departed this earthly life on Friday March 29, 2019. Memorial services will be held on Friday, April 5, 2019 at 4:00PM at William Toney's Funeral Home, 216 E. Barbee Street, Zebulon. She leaves to cherish her legacy: her husband, Christopher H. Daniels; one son, Christopher C. Daniels of Washington, DC; one granddaughter, Jennine A. Jones (Brandon) of Upper Marlboro, MD; two aunts, Lois Batchelor of Spring Hope, NC and Mary Stone of Louisburg, NC; one brother, John D. Stone (Alma); two nephews, James E. Taybron (Doris) of Spring Hope, NC and Ronald Stone (Renay) of Dumfries, VA; three nieces, Jacqueline Stone of Spotsylvania, VA, Sharon Johnson (Melvin) of Oxon Hill, MD and Shawn Betiku (Albert) of Hyattsville, MD; and a host of great nieces, great nephews, other relatives and friends.